Sleep 5, private pool. Here are just a few villas from our programme. Search for more villas. Villa Safiria, Carpignano Salentino, Puglia. 2 bedrooms. Private pool. Air conditioning in living room. 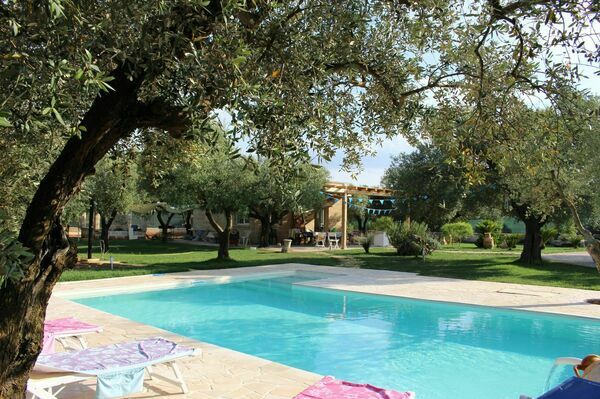 Cottage set in large grounds surrounded by olive trees. Perfect base for exploring both the Ionian and Adriatic coasts and the towns and cities of Puglia. Beach at 13 km. Free wifi. Rental prices from euro 550 per week. Pagliazzone. 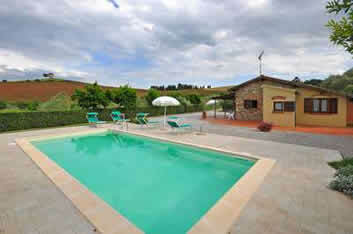 2 cottages providing 2 bedrooms, 2 bathrooms. Sleep 5 private pool. Lovely garden. Air conditioning. 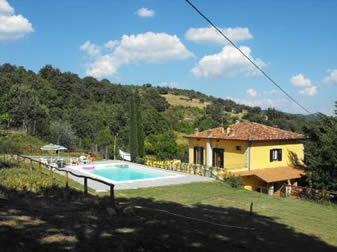 Near Bucine, Tuscany (approx 1 km). Great location as a base for sightseeing. Rental prices from Euro 112 to Euro 220 per night. Tribbiano. Near Antria, Tuscany. 2 bedrooms. 1 bathroom. Sleeps up to 5. Tuscany. Rental prices from Euro 600 to Euro 910 per week. Private pool. Cuccardino. 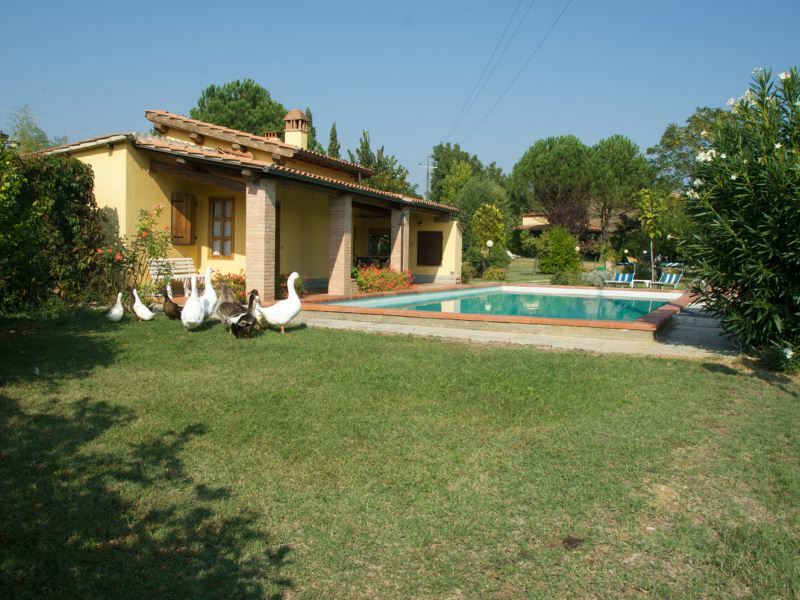 Only 1 km from Bibbona with all kinds of shops (walk to town). 2 bedrooms. 1 bathroom. Sleeps up to 6. Only 5 km from sandy beaches. Rental prices from Euro 858 to Euro 1524 per week. Private pool. View Availability. 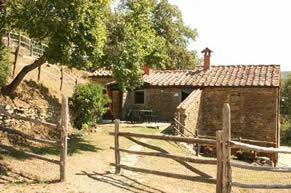 Casa Caldesi, near Castiglion Fiorentino, Tuscany. 3 bedrooms. 2 bathrooms. Sleeps 6. Rental prices from Euro 500 to Euro 930 per week. Private pool. GREAT VALUE FOR MONEY. 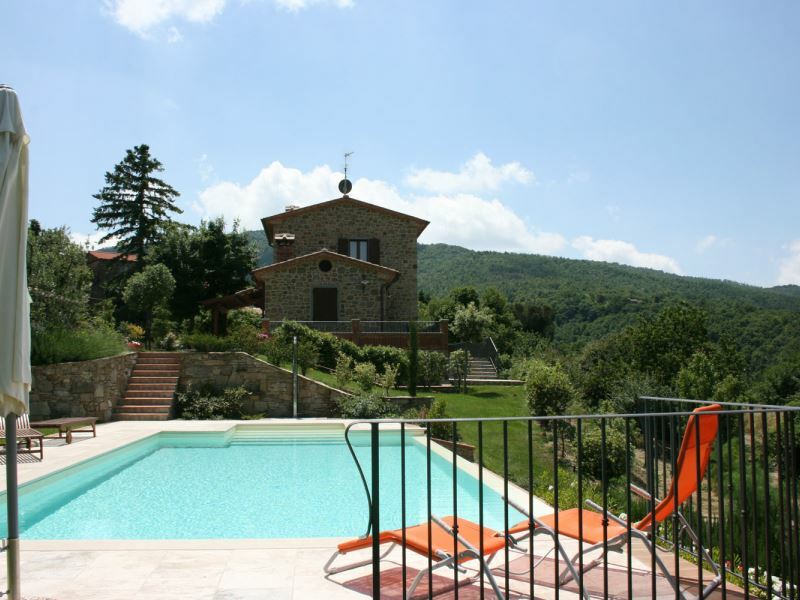 Podere Cantalena, near Cortona, Tuscany. 2 bedrooms. 2 bathrooms. Sleeps up to 6. Rental prices from Euro 710 to Euro 1030 per week. Private pool.